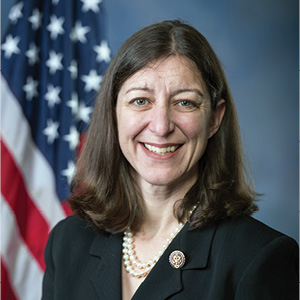 WASHINGTON—In a speech on the House Floor on Thursday, March 7, Congresswoman Elaine Luria (VA-02), a 20-year Navy veteran, spoke in support of a House resolution condemning anti-Semitism and other forms of bigotry. The resolution passed later that day, 407–23. Thank you, Mr. Speaker. I’m a Jewish American woman who served for 20 years in uniform and continue to serve in the United States Congress. I subsequently repeated that oath six times—at every promotion in rank and most recently when I had the honor to become a Member of Congress. Is that not enough to prove my loyalty to our nation? I deployed six times, serving in six ships in the Middle East and Western Pacific, working under challenging conditions while operating complex weapons systems, overseeing nuclear reactors, driving ships, and ultimately commanding a combat-ready unit of 400 sailors. Is that not enough to prove my loyalty to our nation? In the first three years my husband and I were married, we spent almost two years apart so that we could both serve at sea and deploy three times. Is that not enough to prove my loyalty to our nation? Am I to look back on my military career and the sacrifices it meant for my family and remain silent in the face of people questioning my loyalty to our country? I believe that I speak clearly, for all fellow Jewish veterans, that this echoes of language that has been used to marginalize and persecute the Jewish people for centuries. The recent accusations of dual loyalty call into question the equal footing of Jewish Members in elected office and, by extension, all Jews living in America. I am proud to vote on this resolution in condemnation of this rhetoric.